Hi! I'm Heather Mann from Dollar Store Crafts, and I'm happy to be your guest host today! I'm the mom of 3 boys, age 4, 2-1/2, and just turned 1. I love them, but life can be super crazy! My top three craft tools are: sewing machine, hot glue gun, and googly eyes. My site is all about cool crafts made with dollar store stuff (so if you love the dollar store and cheap crafting, you have to come visit me!) I feature other people's crafty ideas, and post some of my own, a lot like Michelle does here at Someday Crafts. 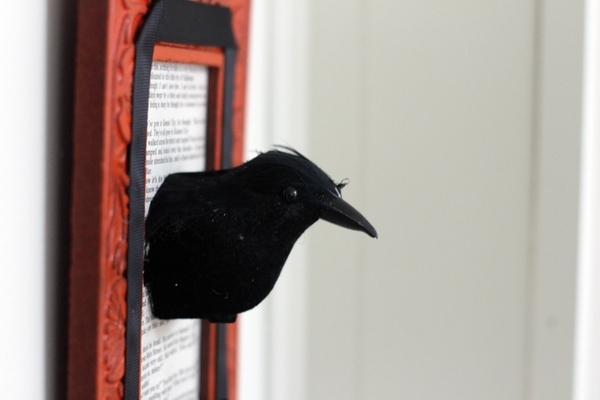 Creepy Crow Faux Taxidermy, which was inspired by Rachel's framed crow at Made with Love and Glue. I also run the blog CraftFail, which is dedicated to sharing our not-so-successful craft attempts, and CROQzine which is about crafty business and kids. You'll also see me as one of the stars in the upcoming Crafting with the Stars contest! Today, I'm going to share my favorite Dollar Store Craft project for fall and winter -- and it only costs $2 to make! You can find the materials for this at the dollar store (I shop at Dollar Tree), although you might need to pick the glue up at a different store. 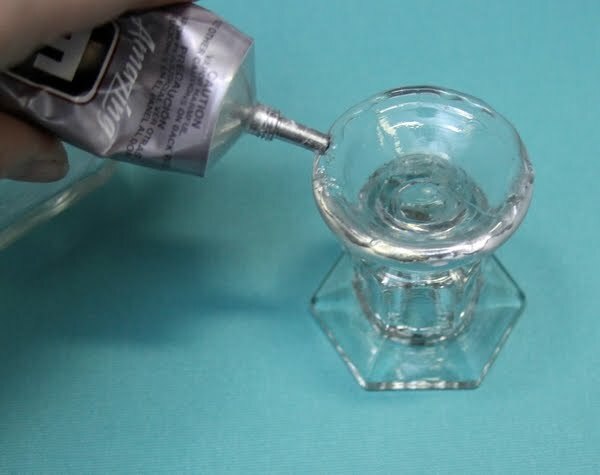 You can use hot glue for this project, but it will be removable. 2. Remove lid from jar; turn jar upside-down. 3. Put E-6000 on rim of candle holder. Put glued side down on bottom of jar. Allow it to dry this way for an hour or overnight. 4. That's it! Leave jars plain or decorate with ribbon, faux flowers, chalkboard paint, a monogram, vinyl, or whatever you like. 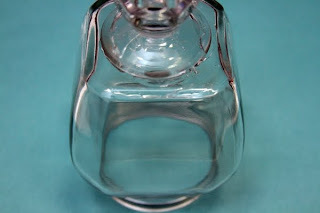 You can use apothecary jars in groupings as pretty candy jars, or in your bathroom to hold odds and ends. 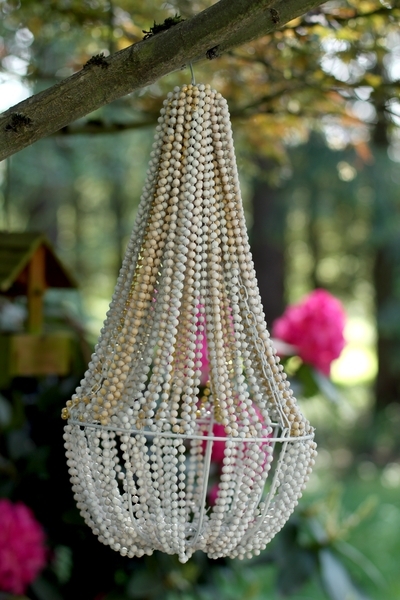 They make fabulous budget hostess gifts for the holidays, or inexpensive teacher gifts. I hope you enjoyed this quick and easy idea! You should come visit me at Dollar Store Crafts and check out my Facebook, Twitter, and YouTube Channel. I send out a weekly newsletter that has links to all my projects during the week, so that's an easy way to keep track, too -- you can see a sample and sign up here. Thanks, Michelle, for having me! THANK YOU, HEATHER!!! 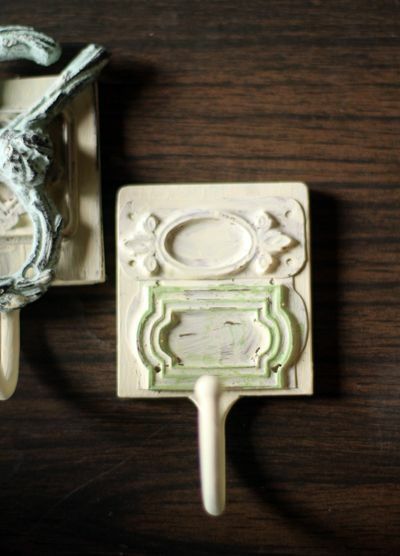 Can I just say that is about as easy, inexpensive and cute as craft projects come? It's crazy! I would love to fill your jars with candy corn for Halloween! 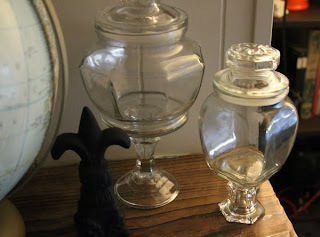 I definitely see these $2 apothecary jars in my future! If you liked this project, you definitely should head over to DOLLAR STORE CRAFTS and look around....for a long while! You will love what you see. CRAFT FAIL is also a hoot! I should submit quite a few of my projects there! I love the idea of using the jar! That crow cracked me up! LOVE these projects on a budget. 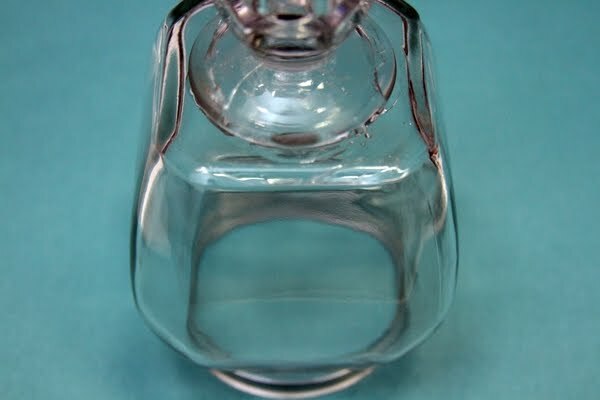 But the apothecary jars are just genius!! I love the dollar store and I'm cracking up over the taxidermy crow!! What a fabulous idea! Thanks!!!! I am loving the apothecary jars. They are just so cute...great for holding pretty Christmas candy. Love these!! I am so digging into the glass stash to see what I have. Thanks for sharing! The apothecary jars are brilliant! Great, i love the crow in particular, that is a really cool thing to mount on the wall. Thanks everyone, and thanks for having me, Michelle! These are wonderful! Thanks for sharing. 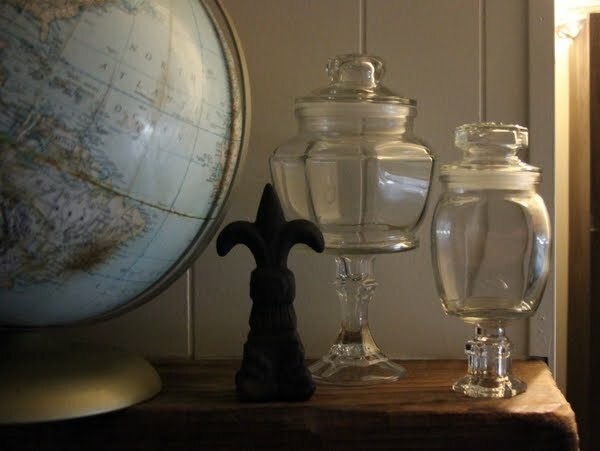 I love the crow and these faux apothecary jars are really, really good! Great ideas. Love stopping by here. 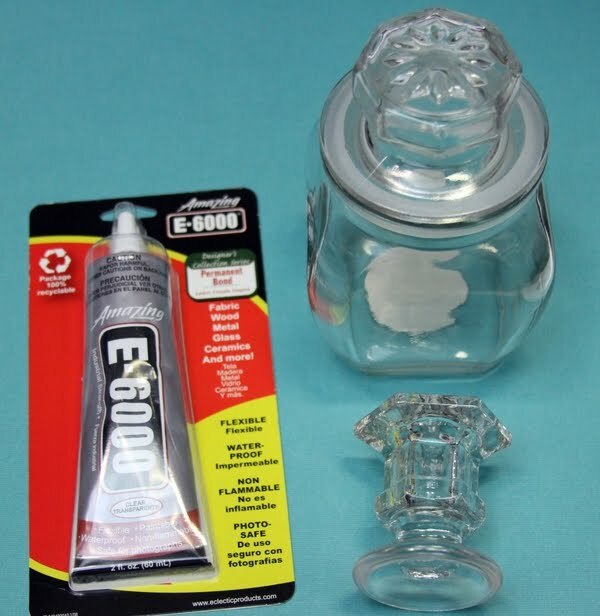 I used to hunt far and wide for these types of jars for use in my artworks. I love them, but they really were hard to find, even after trawling through the salvation army shops. I will hunt no more! 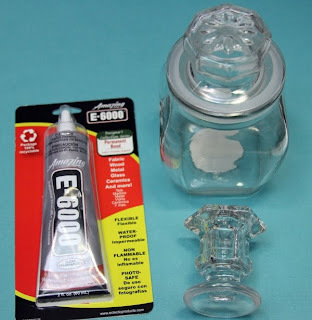 Thanks for this idea, I will finally be able to add more jars to my art by creating ones that specifically fit that particular paintings needs. love the candy jars! Perfect and great timing for my son's birthday!! Thanks! So happy to find this! I wonder if the jar would close properly if the plastic stopper was removed. I think that it detracts from the "look."